This post is specially for Mac lovers! It talks about how using your beloved Mac you can get access to all US based sites which are otherwise restricted in your country. When we wrote an earlier post on our blog 'Gmail Call features Outside US' there were comments from Mac user about need of a similar service for their Macs also. At that time we did not had enough resources to test related services/settings on a Mac, but now Abtevrything community is growing day by day. Readers are contributing by providing us with test results for workarounds we suggest. We like to thank and give the credit for this post to one of our reader Brenton Pobjie (Twitter: @SHIMANOTWIT6000) who helped us with testing this workaround and providing the screen shots needed. So here goes the magic of VPN for all those Mac Guys! Hope you find this helpful! STEP 1: Go to Raptor VPN free registration page and register for free VPN account. Check your email for activate account link and click on that link to activate your free account. You might consider donating Raptor folks as a thank you token. Before proceeding further please make sure that you activated your account by clicking on the activation email. STEP 2: After Registration Download the VPN Client (Spotflux.dmg) for Mac. Then Double click the spotflux.dmg file to mount the disk image. 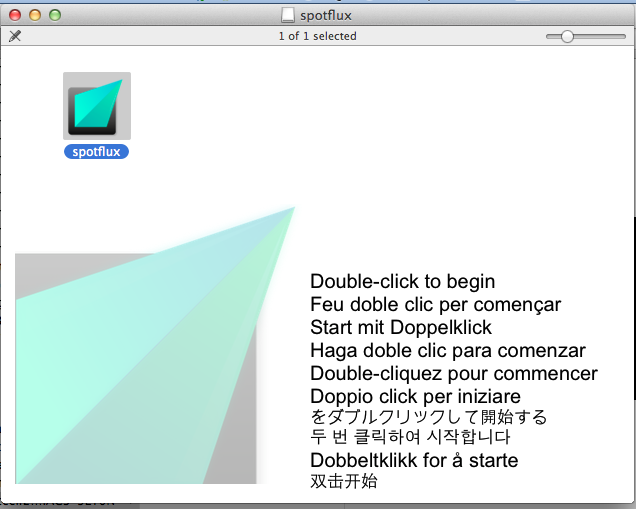 STEP 3: Double click the Spotflux (raptorvpn client) icon to launch the installer. You will be asked to provide your macintosh username and password during the install. STEP 4: When the install completes you will see a square shaped icon on the top finder menu bar near your spotlight magnifying glass icon. Click on the square icon and select "Connect spotflux". Use the email address using which you registered as username and password you used while registration. STEP 5: Once successfully connected the icon will become a solid green color. 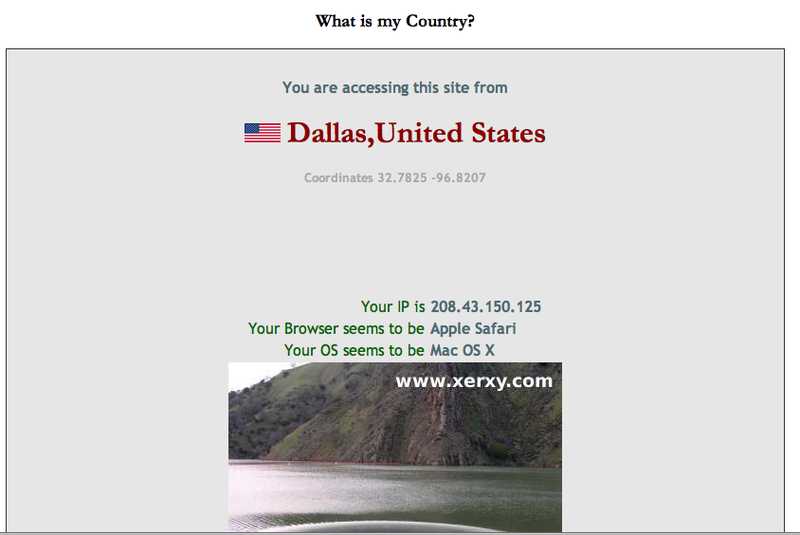 STEP 6: To confirm that you are connected to VPN just open your browser and got to http://whatismycountry.com which will display US as country. STEP 7: Congratulations! You've made it! Now enjoy all kinds of benefits you have been missing. Try Free Call to any phone number in US and Canada. Or Use Amazon Appstore to get a paid app daily for free on your Android Mobile Or Watch the latest videos on Vevo. Did this worked for you? Or do you know any other free service? Share your thoughts in comments and do share this post with your Mac friends! Stay connected with us on Facebook and get latest workarounds, tips and tricks!